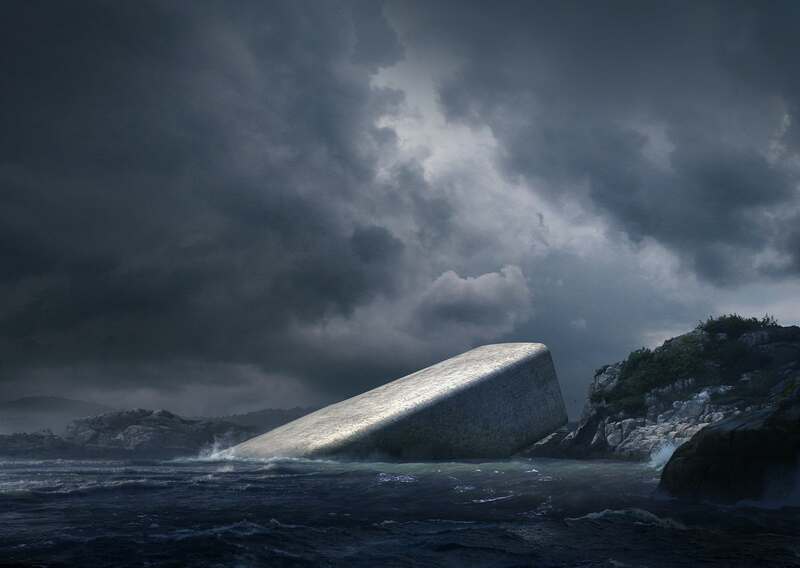 Half buried in the sea, the monolithic form of the building breaks the surface of the water to land on the steep shore. 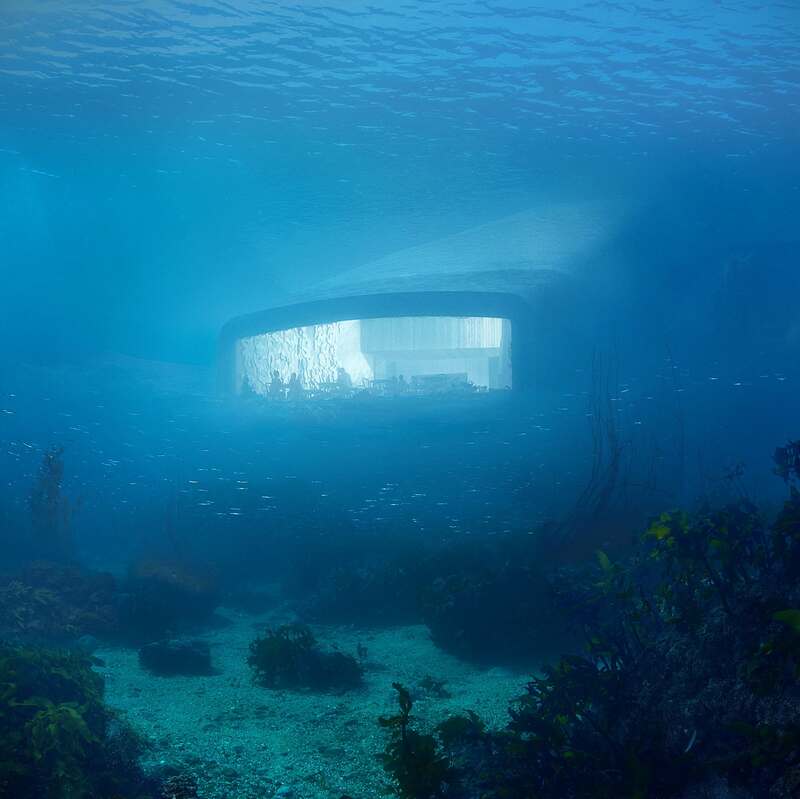 More than an aquarium, the structure will become a part of its marine environment, coming to rest directly on the seabed five meters below the surface of the water. 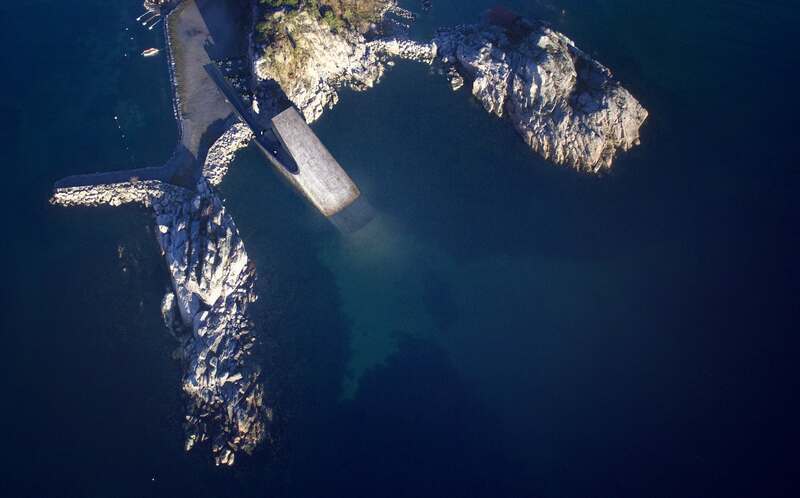 With concrete walls one meter thick, the structure is designed to withstand the pressure and shocks caused by harsh sea conditions. 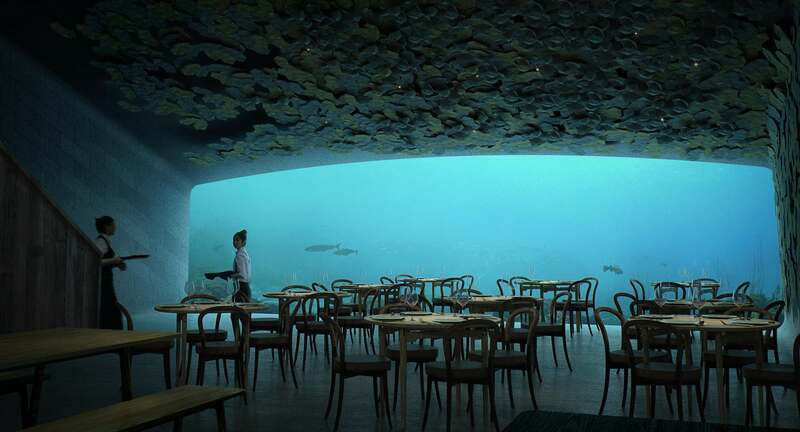 The massive acrylic windows in the restaurant offer sea-floor views over the seasons and weather conditions. 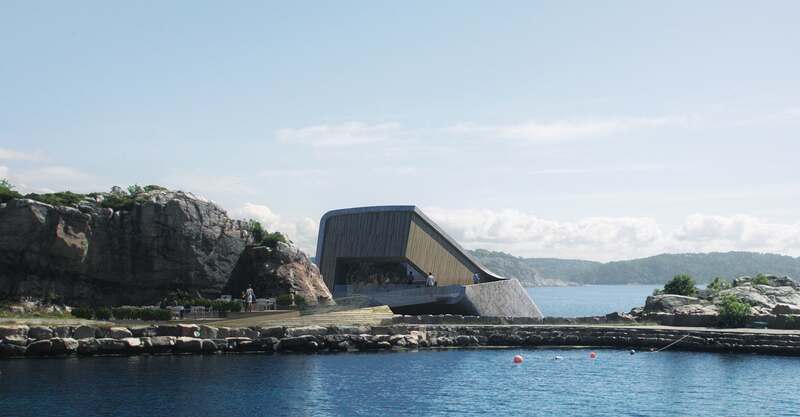 Visit the site of snohetta.